Red Hat, The name is enough to understand Linux Power. 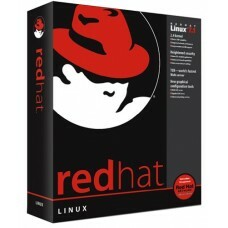 Here you can buy all Red Hat Linux versions both 32 bit and 64 bit. We provide all Red Hat Linux editions at the cheaper price. Please note that these editions are evaluation versions. Red Hat Linux gives you the tools you need to modernize your infrastructure, boost efficiency through standardization and virtualization, and ultimately prepare your data center for an open, hybrid cloud IT architecture. Red Hat Enterprise Linux provides the stability to take on today’s challenges and the flexibility to adapt to tomorrow’s demands.